Best Solution (left) is on his way to the Melbourne Cup after his Group One win in Germany. Best Solution has confirmed a trip to Australia for the Caulfield and Melbourne Cups with victory in Germany’s most prestigious race, the Grosser Preis Von Baden at Baden-Baden. 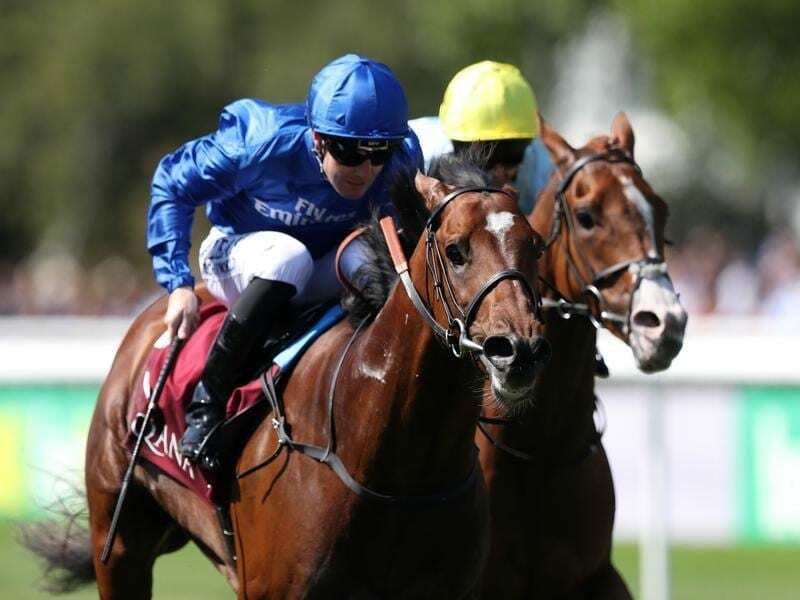 Having struck at the top level at Hoppegarten last month, the Godolphin-owned four-year-old produced another big performance to give trainer Saeed bin Suroor a third win in the Baden-Baden showpiece on Sunday (Monday AEST). Ridden by Pat Cosgrave, Best Solution was strong at the end of the 2400 metres, holding off Defoe by a neck. British bookmakers cut best Solution to 16-1 for the Caulfield Cup and 25-1 for the Melbourne Cup. Bin Suroor said Best Solution would enter quarantine shortly. “I’m happy for him. He has improved and the jockey gave him a good ride,” he told Press Association Sport. “He was good. He won the race well and now the plan is to take him to Australia.